Need a gift for you, your staff or your special someone? 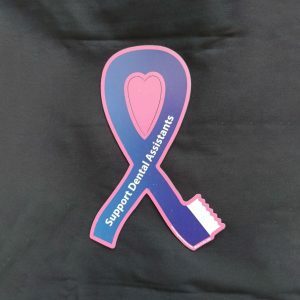 Show your Michigan Dental Assistants Association pride and show your support for all dental assistants! 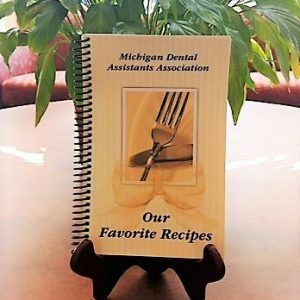 Your purchase will help support the Michigan Dental Assistants Association scholarship program and the many quality continuing education courses we provide for the dental community every year. All items will be shipped via Flat Rate Postage. For regular size orders, we will use a small flat rate envelope. If you are ordering multiple items, including more than two scrub tops or cookbooks, we will use a medium or large flat rate box. Please add the appropriate flat rate shipping cost to your total amount for the items you are purchasing when making payment. Enter your total from the shipping worksheet and checkout via Paypal. Find many of our favorite recipes here along with cooking tips and tricks. 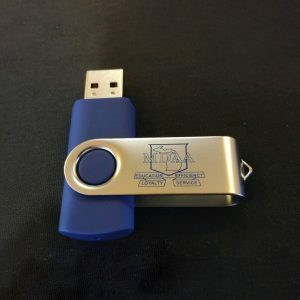 2 gigabyte MDAA logo spin-style Flash Drive will fit the standard USB port on your computer or laptop. 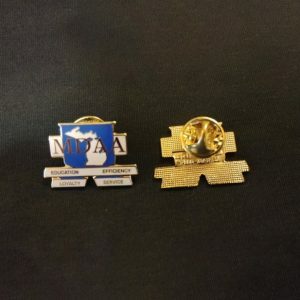 Show pride in your membership in our state association with this MDAA logo lapel pin. 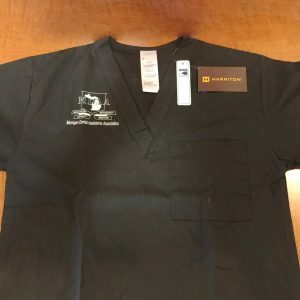 Very good quality, black scrub top with our MDAA logo on the left side above the pocket. 65% polyester and 35% cotton. 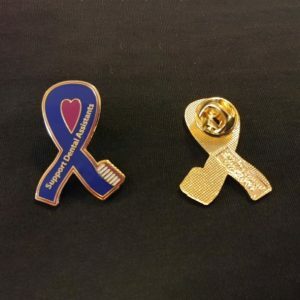 Show your support for all dental assistants with this attractive lapel pin.